Family, friends and good times have always gone together, and nothing brings people together quite the same way as sharing a great tasting pizza… made fresh daily! Since our inception in 1989, Canadian 2 for 1 Pizza has been invited to everyday dinners and special celebrations for one simple reason – our pizza just adds to your enjoyment! In pursuing our mission of “helping make the good times better”, we have become one of Western Canada’s largest and most successful pizza chains, with hundreds of thousands of satisfied customers over the past nearly three decades. 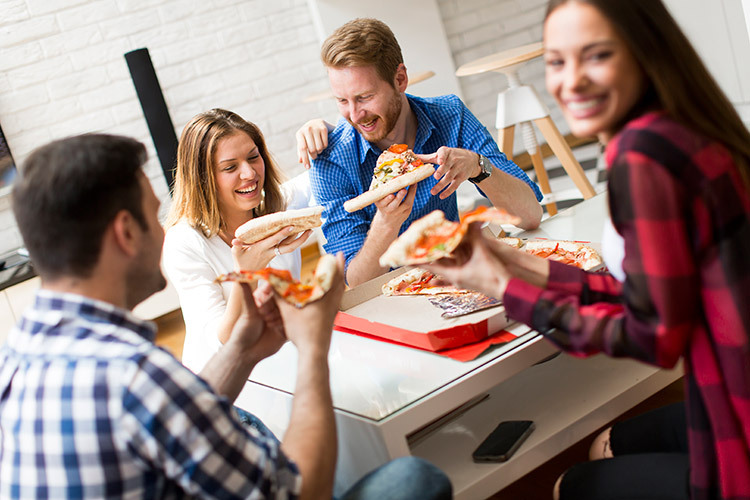 Whether you want to order from our monthly flyer, or from our menu of specialty pizzas, or you want to mix and match your own combinations, we have several Canadian 2 for 1 Pizza franchise locations across Western Canada to serve you. Giving a little support back to the communities which support us is important to us. If you see us at your community events – we’re simply there helping make the good times better. 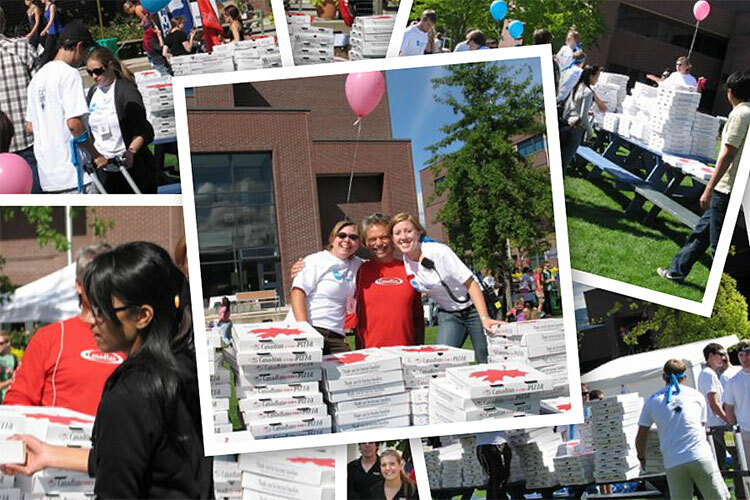 Canadian 2 for 1 Pizza helped sponsor the Orientation Day Activities at UBC Okanagan by delivering 600 pizzas! It took many hands and even some carts to make that happen. The students were thrilled to enjoy the great pizzas and fun atmosphere. We are pleased to announce the opening of a new Canadian 2 for 1 Pizza store at Wadi Al Lawami, Al Khoudh in Oman. Located in the food court of the LuLu Hypermarket which offers 350,000 square feet of retail space with groceries, fruit and vegetables, hot food and bakery products, the new store is the second Canadian 2 for 1 Pizza in the Middle East. The hot food counter has a huge area for customers to dine with family and friends, and there is also a children’s play corner and a spacious indoor and outdoor seating facilities. In addition, the mall features a large area dedicated to department store offering garments, electronics, IT products, stationery products and home appliances. I consent to Canadian 2 for 1 Pizza collecting my details through this form. ©2017 Canadian 2 for 1 Pizza. All rights reserved.